Deb… I can’t believe how sad this is. Wynn just called me yesterday and told me. I would love to send card or flowers or something……. 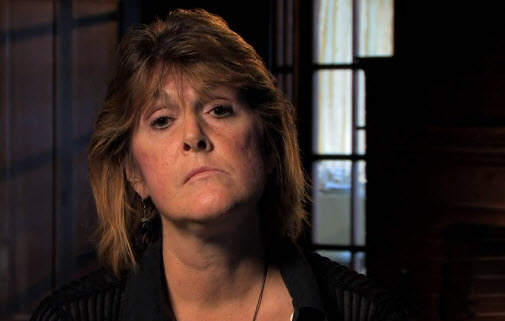 I think I’ve seen almost every episode of Intervention there is, but none touched me as deeply as Sandy’s story. I’m an insulin dependent diabetic like she was. Though I was diagnosed as a type 1 as a child, there really isn’t much difference between our diseases. I’ve had my share of traumatic life events too, and became a very severe alcoholic in 2010 when my mother had a massive brain bleed and I became her round the clock caregiver. Very quickly my every-day-all-day drinking got out of control, and I went into diabetic ketoacidosis for the first time on Mother’s Day of 2012. I kept drinking and then added in the prescription pills I was getting for being in the ICU constantly. I lost my job as a healthcare professional, became homeless, and lost custody of my kids in Jan of 2013 at ages 6&8. I came very close to death several times. Thankfully I hit my rock bottom in February of 2013 and have now been sober 3.5 years. My children are back with me and thriving, I’m giving great patient care again, have a husband I adore and just bought myself a car. How I ever survived all that and am thriving so now, I’ll never truly understand. Sandy’s story moved me so because what she put her beautiful daughters through I was on my way to doing to my own children. The DKA she died from could – and SHOULD – have taken my life as well. I was Sandy. And seeing her story gave me that reminder of what I was and could be so easily again. Just like Candy, I got sober for my kids, and I CHOOSE to be sober for them every day. Sandy and her beautiful girls, God bless you all. Thank you for sharing your story so others – like me – can live. Sandy’s episode really hit me (and that was even before I knew she had passed away). The severity of her addiction was so clear and Candy’s connection to her was so strong. So sad to hear she’s gone. If you had bothered to do any research before posting that idiotic comment you’d have found out that she died of diabetic ketoacidosis. I believe that’s mentioned on this very site under the “POST-INTERVENTION DEATHS” tab. Why would you even post such a thing? That vitriolic tone really necessary? Yes, the vitriolic tone is necessary…a person just randomly muses that the very caring and sober ex-husband might have killed a clearly sick woman because he once beat her badly. This is my mother, people on this show are real, not fake. Maybe think about what you say before you say it thanks. Am thinking of you and your sisters. My father was an alcoholic and died of cirrhosis. 14 years ago. It never goes away. Thinking of you all and hope you have found peace with the support of one another. You girls were very brave and very loving. It is a true tragedy what happened in your family. I’m so sorry for the loss of your mother. I am working on recovery myself for my own wellness and to do the right thing by my children. My own mother spent 12 years sober, but has spent much of the last 12 drinking…mostly heavily. I feel your pain and despair and hope I can break the cycle. I wish you all well. Addiction is a dangerous illness and some of us don’t survive. My thoughts for the continued blessing of your father’s recovery and the joy you will find as your own families grow. In one way I wasn’t surprised to hear that Sandy died. The extent of her addiction on her diabetes was too much for her body to handle. I think that she truly wanted to get sober. It didn’t help that she was in an abusive relationship. Sandy’s daughter who cared for her was an angel. As it it’s been said time and again in the halls of AA. The only way that an alcoholic (and addict) are free of the horrible disease of addiction is death. Sandy is at least for free of the disease of addiction. May she rest in eternal peace. First off James I would like to know what AA meetings you’ve ever attended that said the only way to stop this disease is death? I happened to be a recovering alcoholic and I’m 5 1/2 years sober never relapsed and I never once heard that was a solution to being free from the disease it’s willpower and with gods help to keep you strong that’s the way you survive this disease she had ketoacidosis because she drank it made her kidneys and her diabetes 10 times worse. Please check your facts about AA!!! !